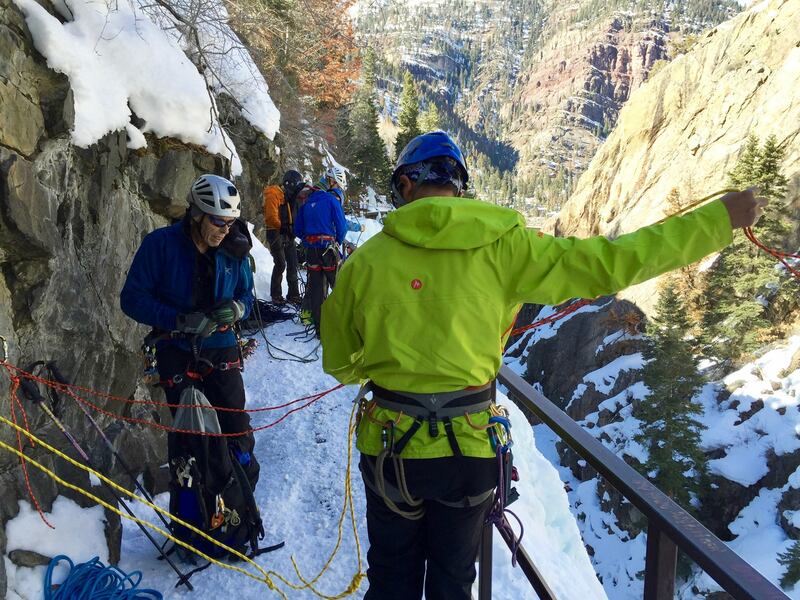 I have always been fascinated with ice and alpine climbing, and if you want to go ice climbing in the continental United States, there is no place better than Ouray. 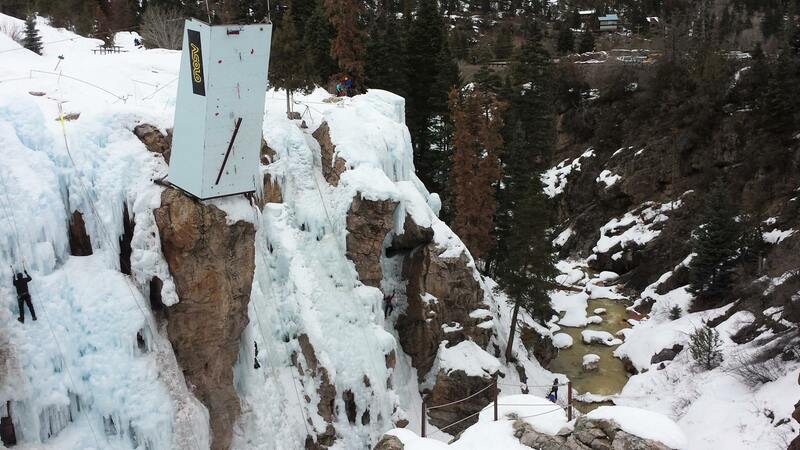 So with the charm of winter climbing, perfect waterfall ice and adventure in the Rocky Mountains, Haley and I decided to make an ice climbing trip to Ouray. 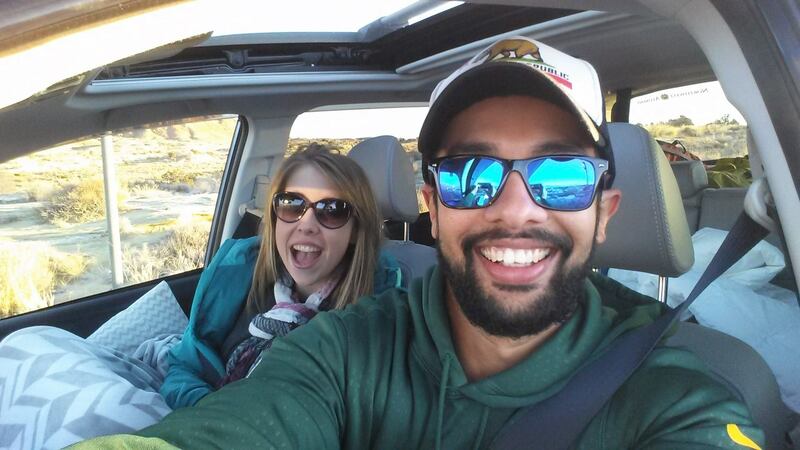 We chose to drive, in order to get more time on ice! 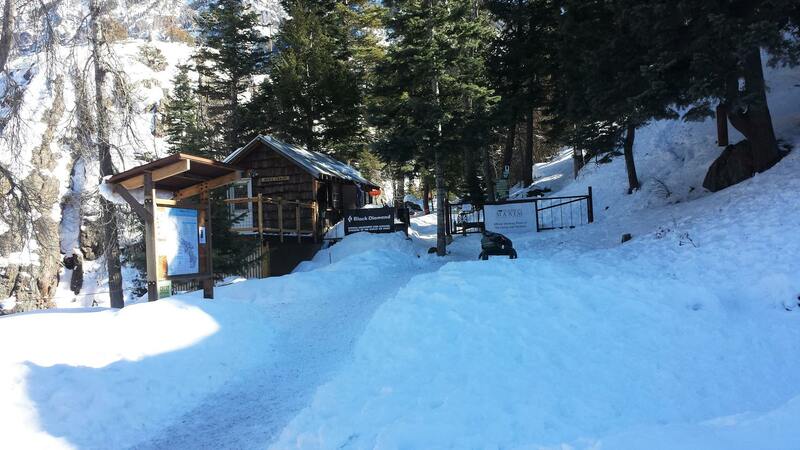 If I remember correctly, it is a 15-hour drive to Ouray from San Diego and very difficult one to do in one go. 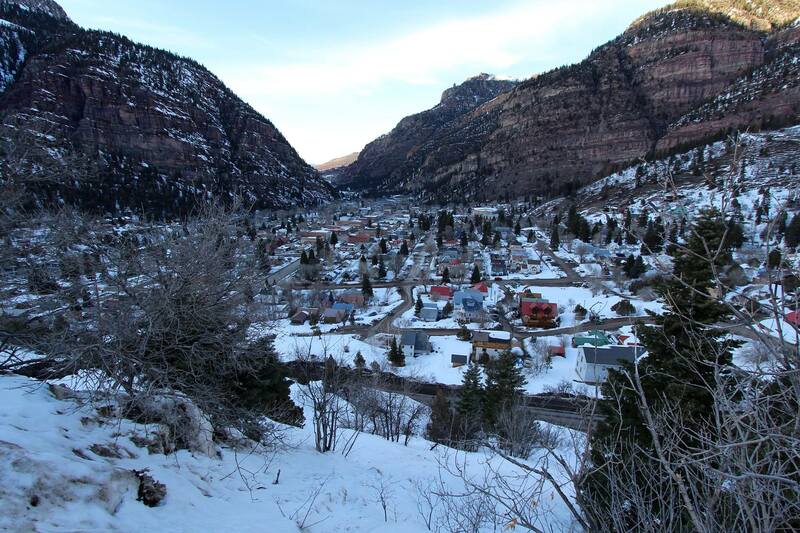 Regardless of the difficulty, we had a very scenic and pleasant drive to Ouray. 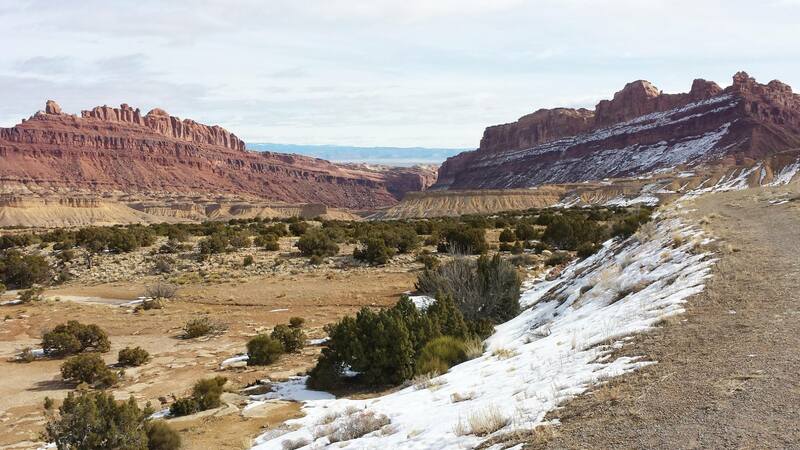 On the way, we were captivated by the high desert that is Utah. On the next day, we met up with my friend and mentor, Geoff. 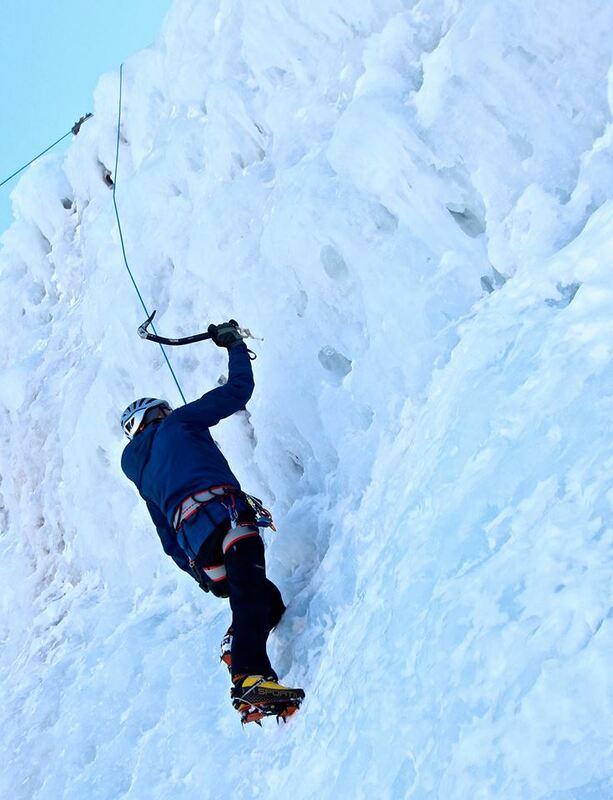 Coming from California where we do not get as many ice climbing days, we decided to spend a few days in the Ouray Ice Park. 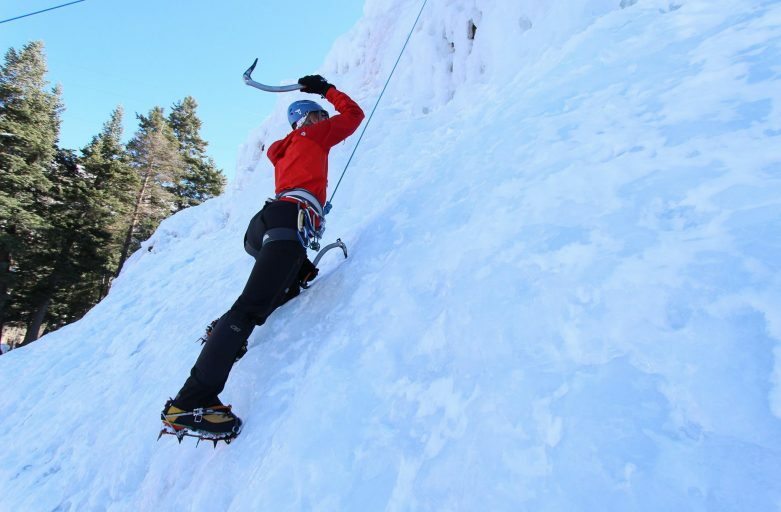 This would help us to get a good feel of the ice and give Haley a chance to experience ice climbing for the first time. 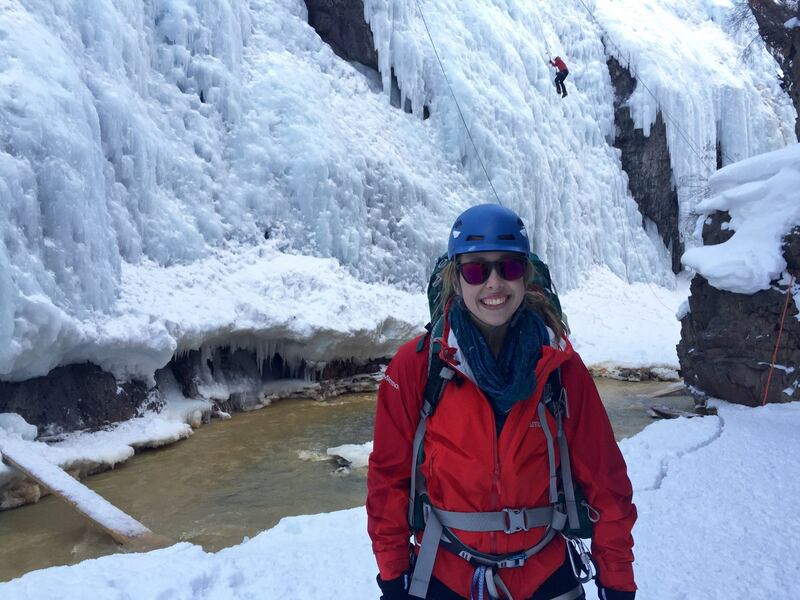 Haley is a pretty good rock climber but had never stepped on ice before, so we started out on some east WI2 routes. Haley is a natural athlete and soon got a good feel of things. 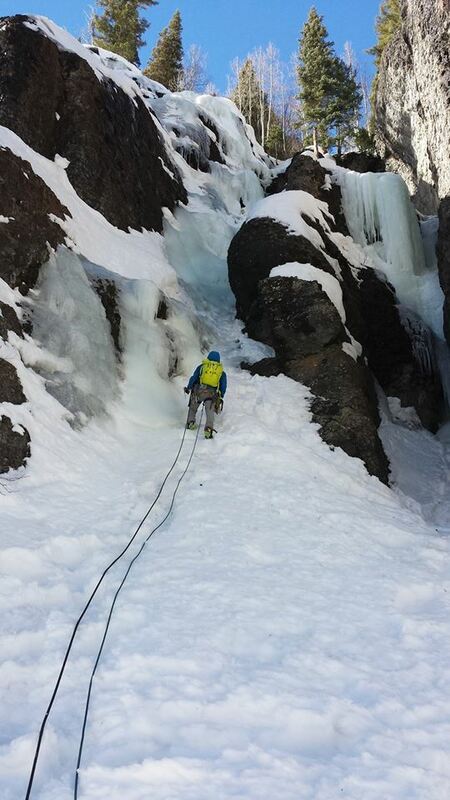 We soon moved over to intermediate ice routes (WI3, WI4). 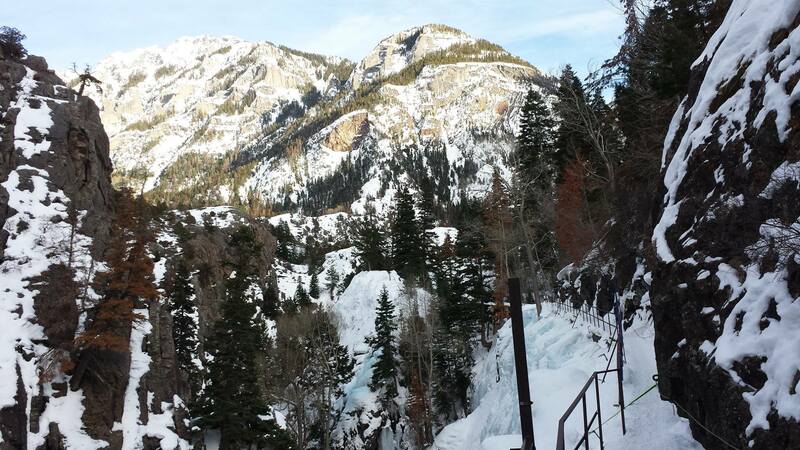 The Ouray Ice Park sees a lot of traffic, but the artificial ice of the park heals itself really quickly, and there is plenty of ice to climb. 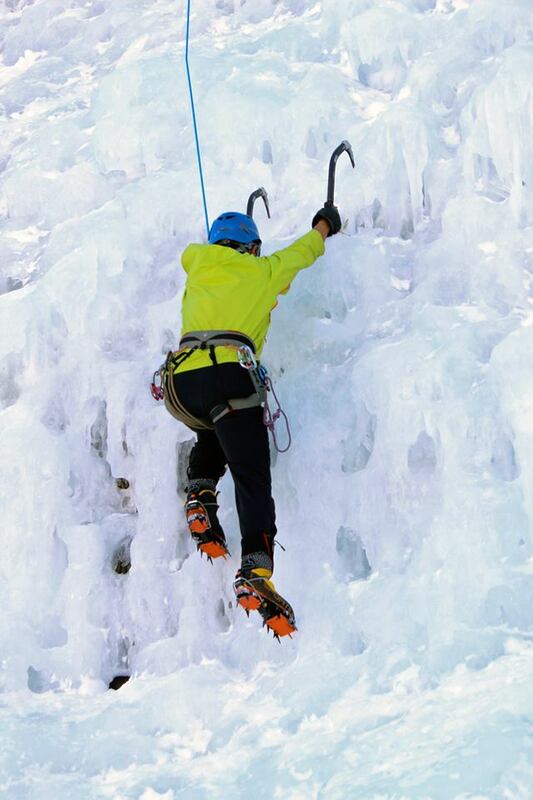 By now, Haley had already become very comfortable on ice and was climbing WI4s. Geoff and I were also feeling very confident. 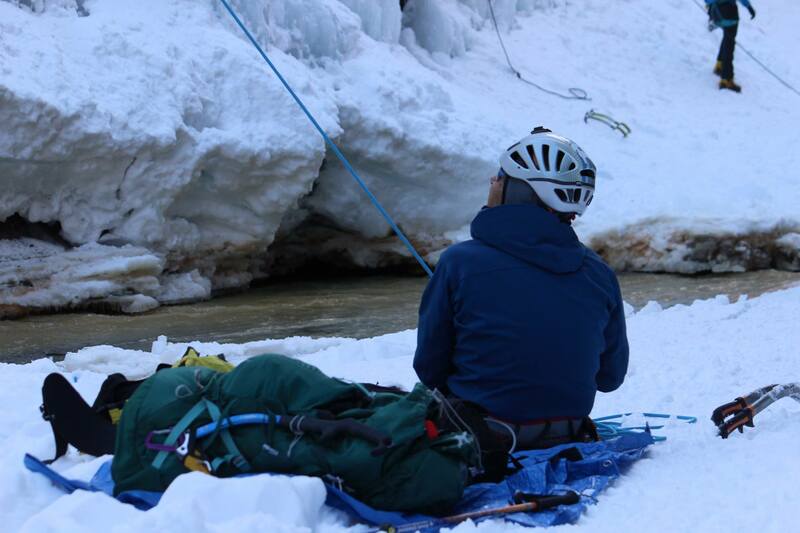 The two days spent on the ice were helping us get a good feel of it, and I was getting excited about backcountry ice on Camp Bird Road! 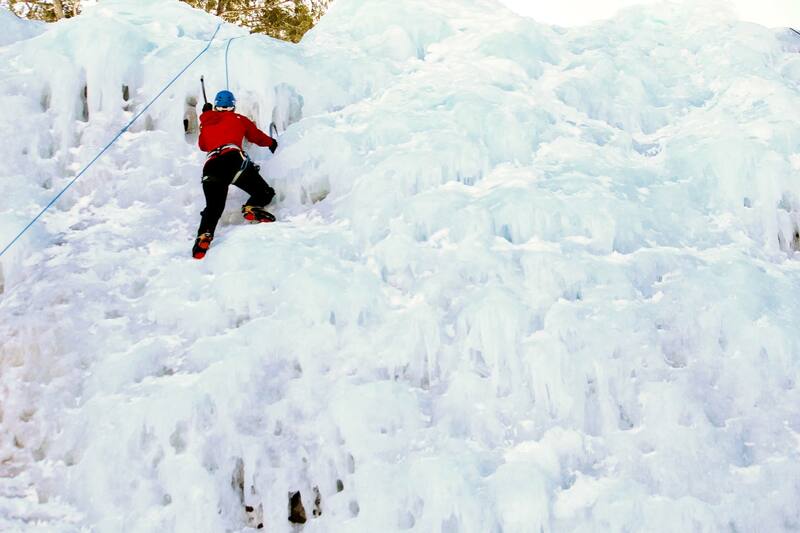 After two days in the ice park, I was ready to get on some backcountry ice and mixed climbing. Some of the climbs I wanted to do were the Ribbon, Choppo’s Chimney, Slippery When Wet, Skylight, etc. 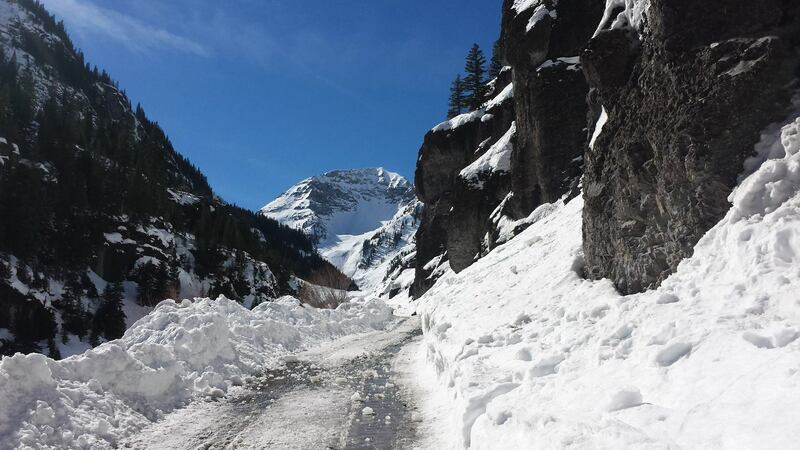 A lot of the ice and mixed climbing in Ouray area is on Camp Bird Road. 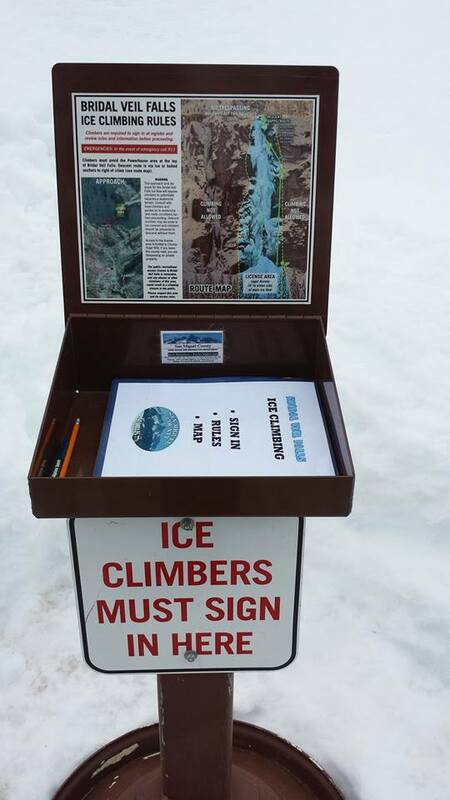 It is very easily accessible. 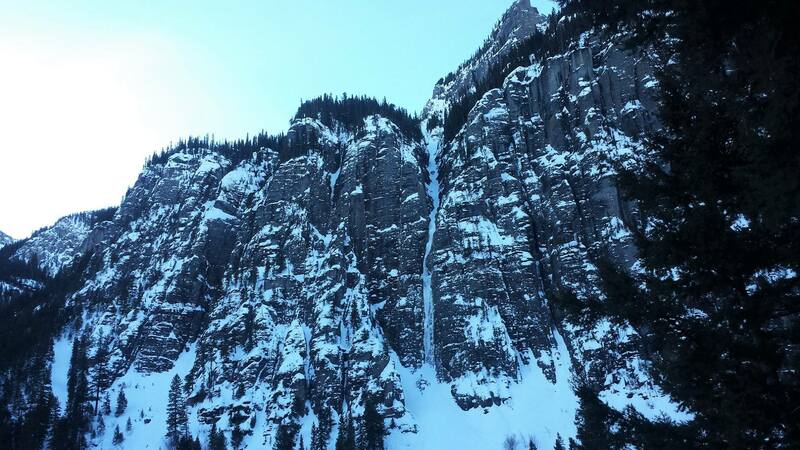 There are many single and multi-pitch routes located in this area. 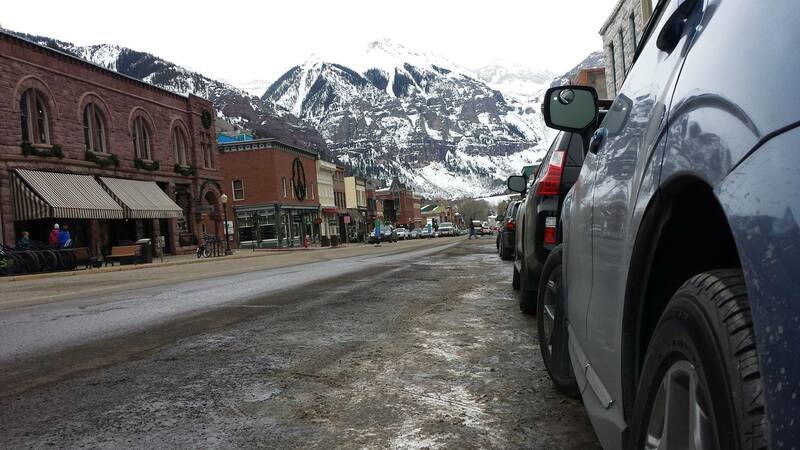 The next day was Valentine’s Day, so Haley and I decided to visit Telluride. 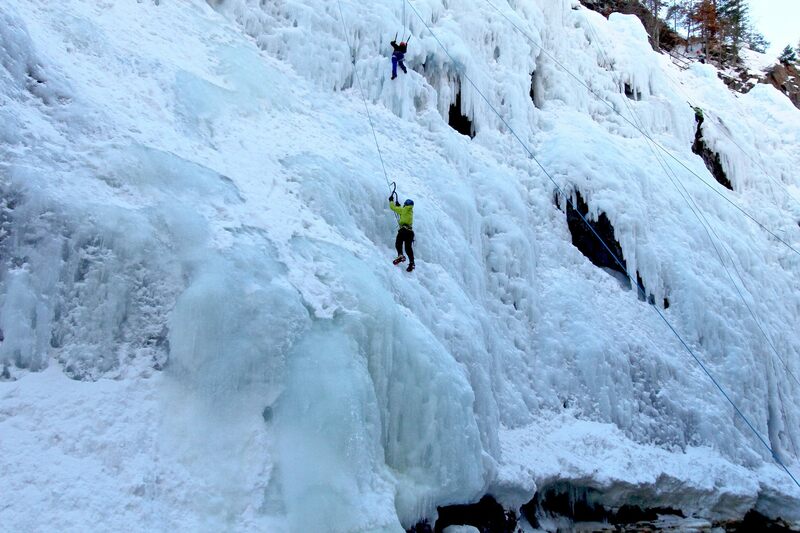 Telluride is another fantastic mountain town with ice climbing, skiing, and snowboarding all over the place. 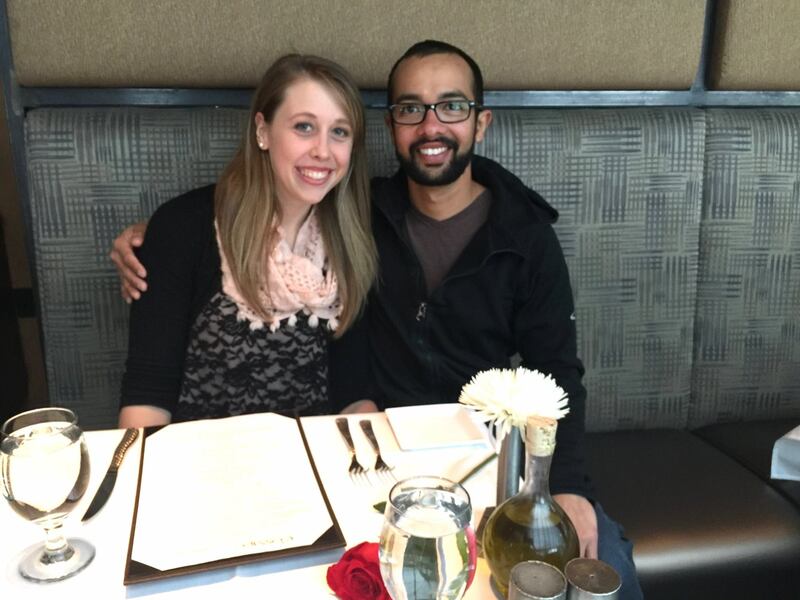 There are some really nice art stores in town and excellent food options. 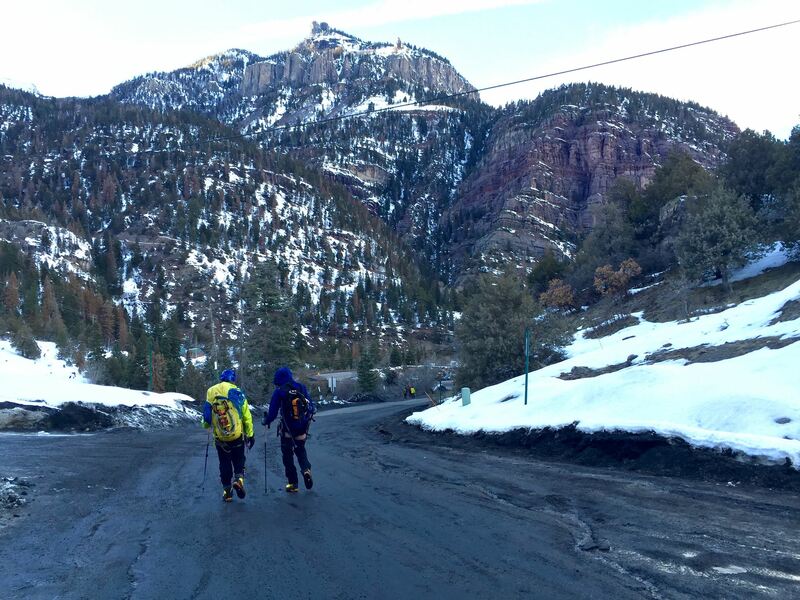 We had a great time exploring the town and enjoyed our Valentine’s Day dinner, but as usual, I soon got tired of all the city things, so we decided to hike in the backcountry to check out Bridal Veil Falls! 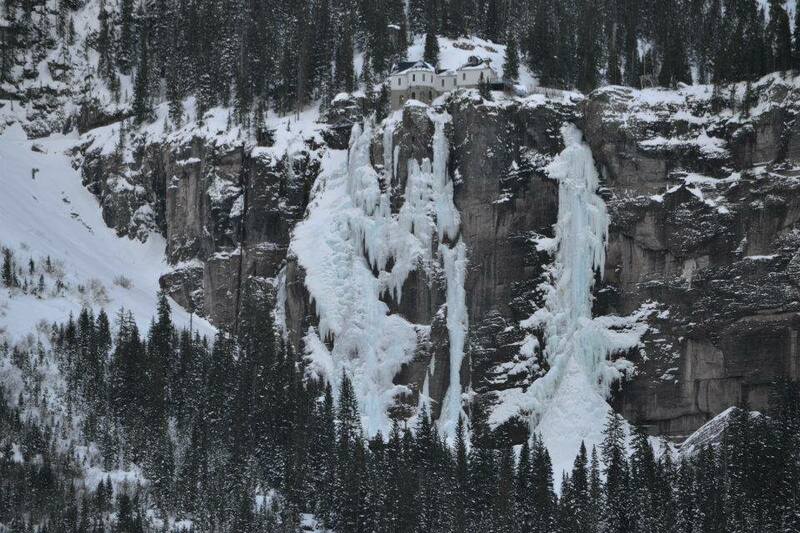 Even though they are well beyond my climbing grade, it was still incredible to see them. 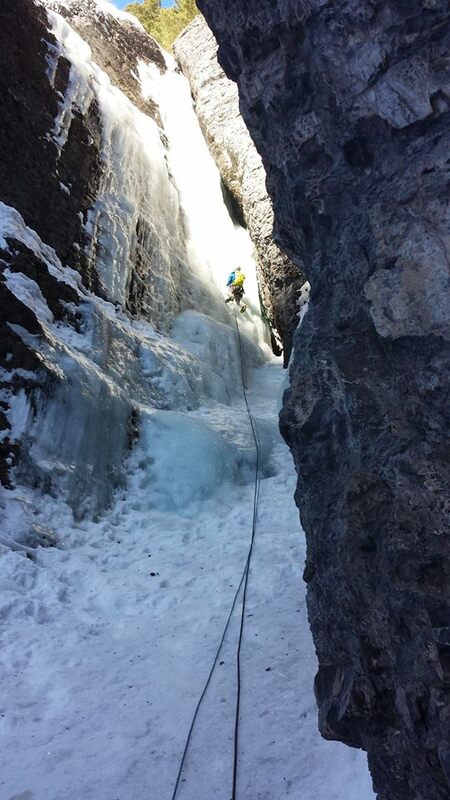 All in all, our Ouray ice climbing trip was a success!